TOUR GUIDE RESPONSE: Tanner family!! God be with you! Wishing you all well! Great time with you in Pisa. Sinisa has a lot of information to share - so knowledgeable about the places he took us. He customized our tour at our request to include a drive up to Piazzale Michelangelo to look out over Florence, and then to Siena, San Gimingano, Monteriggioni for lunch, and the sweet town of Vinci to finish at sunset, before returning us to Florence. He is very accommodating and professional. I liked that he is an artist, so he took some nice photos of our family for us! He is a very nice and thoughtful guide. TOUR GUIDE RESPONSE: Locke family! Thank you for choosing my services in Tuscany. I wish you an excellent stay in Italy during your vacation. Sinisa was a charming host. He was very knowledgeable about not only the areas we went to but about everything on the way as well. We had an awesome time!! TOUR GUIDE RESPONSE: Thanks for choosing me as your tour guide. It was a true joy for me to show you round. Sinisa is very knowledgeable, a lifetime resident, fluent in English, and really personable. The day was really enjoyable, and he made it flexible enough to adapt to my wishes and needs. I highly recommend him! Excellent tour . Sinisa is very knowledgeable about Tuscany, especially art, history and architecture. He is very experienced and it shows. Let him choose a good place for lunch. TOUR GUIDE RESPONSE: Thank you Gregory for your thoughts. You certainly have travelled the world...it is nice to hear that from an expert traveller...wish you all the best. very knowledgeable guide with extensive knowledge of art history. tour started at 10 and ended after 3 with only a brief break for water. totally exhausting. we would have preferred about 50% of what we received, and time for a bite to eat. Far more interested in "educating" us than in asking what we wanted to do. at the end we were asked to pay for the uffizi and academia tickets in addition to the tour price, which was a complete surprise, as we understood the ticket prices were included. We enjoyed the tour tremendously. Sinisa provided us with an incredible amount of information on the history of Italy and in particular Pisa and Lucca. He modified the tour to focus on the our interests and the entire day was wonderful. What a wonderful tour guide Sinisa was. My husband and 13 month old had a wonderful time seeing the country side. Sinisa was very understanding as I was 28 weeks pregnant and not feeling well the day of and took it at my pace. We still had a wonderful time even if we had to change our original plan. Highly recommend Sinisa. TOUR GUIDE RESPONSE: Thank you very much for taking the time to write the feedback. I enjoyed the time with you and I hope you have got a chance to enjoy a Tuscan experience. Lovely family. Wish you all the best. Sinisa was a perfect guide. He was eager to see that we had a great time. He was very knowledgeable and gave us the background we needed to enjoy the sights. I highly recommend him. TOUR GUIDE RESPONSE: Diane! Thanks for your friends and yours willing for participating. Yes, we had a good time. All of you are refined travelers. Whish you a great time on this and other trips. We had a great time with Sinisa as our guide. He was prompt and friendly as well as shared a wealth of knowledge about the region's history, culture, architecture, and vineyards. Having Sinisa as a guide provided much more insight and color packed into a day than we could've gotten on our own in more days. TOUR GUIDE RESPONSE: Yes Chis & Melissa! You're right. When you choose a Tours by locals guide, you probably would like to do like locals do,having a day like if you would live here. We've done a lot. Thank you for having booked the tour and for having this natural and casual atitude while exploring our region. Wish you all the best to u all 4 Hayes! Great tour and great guide. Chianti country was beautiful and the wineries visited were outstanding. Small winery tour was directed by the owner who explained things in great detail. Greve was a cute village and a nice stop as well. Our day with Sinisa was magical from start to finish! He is very knowledgeable and personable, and covered everything we were hoping to do. We could not have done this day trip from Florence on our own. It really was a perfect and absolutely beautiful day that we'll always treasure! Thank you, Sinisa. We enjoyed a magical day with Sinisa exploring the back country roads, towns and villages of the Chianti countryside. He also took us to two wine tastings, the highlight of which was a special cellar tasting with he winemaker himself. TOUR GUIDE RESPONSE: Dear Chuck. Thank you very much for the warm and friendly comment. You're right- it was really a great afternoon together. Wish you all the best. An excellent tour with in-depth information on all the important points of Florence - Sinisa was very accomodating for things we wanted to do and time spent looking at items or taking photos. A lovely person to spend time with and a huge level of knowledge - would highly recommend. Sinisa was a wonderful host for our tour in Florence and accommodating when we missed our first train to SMN. He stepped up our visit by using a golf cart so we could access places in Florence we could not of see by foot given our time constraints. The view from the top of the hill of the City was just amazing as well as many stops and tours of the museums and cathedrals in Florence. SInisa was an amazing tour guide and taught us a lot about the art and history of this beautiful City. This was our 2nd day with Sinisa. We visited Siena and San Gimignano. Sinisa is an amazing, very knowledgeable guide. He made our tour very fun and personal. One of our group had some special needs and he was very attentive to him. The highlight of our day was a farmhouse he took us to for lunch. He was obviously well known by the owners, who set up an amazing lunch table for us, with salads, meats, cheese, pasta and of course wine. We all dined together. An experience we will never forget. He's the best! we did a half day tour to Pisa. Sinisa speaks perfect English and has an incredible wealth of knowledge about the region and history. He drove us to Pisa, talking to us all the way. He was very attentive to us and helped a lot with one of our party who was limited in what he could see, always making sure he was okay and even sitting with him so we could explore Pisa. I whole heartedly recommend him for tours. He's amazing. We were so happy we had him booked for a second day. My husband and I spent a lovely afternoon with Sinisa in the beautiful Chianti countryside. We had previously done 4 group tours in Rome, so having a private tour was such a nice change of pace. Sinisa picked us up in Florence and we visited the beautiful Gabbiano winery - just gorgeous. We had a light lunch in Greve - a beautiful hilltop town full of character. Then Sinisa took us to the town of Radda where we enjoyed a wine tasting of local wineries. Thanks Sinisa for a wonderful day! We loved it! Sinisa was wonderful. He is so incredibly knowledgeable about art, art history, and the locations we saw in general. It's like having a professor with you at all times. There were literally no questions he didn't know the answer to. Moreover, he was prompt and arranged everything, found great restaurants for us, and even went overtime so we could see everything. This was the perfect tour with the perfect guide. Sinisa was wonderful. He is so incredibly knowledgeable about art, art history, and Florence in general. It's like having a professor with you at all times. There were literally no questions he didn't know the answer to. Moreover, he was prompt and arranged everything, found great restaurants for us, and even went overtime so we could see everything. This was the perfect tour with the perfect guide. Sinisa spoke English very well, was personable, a good driver and extremely knowledgeable and articulate. He made our day in Siena and San Gimignano the highlight of our trip to Italy. The luncheon at the farm was superb as was the wine. We will highly recommend him to friends traveling to Florence and definitely utilize his services again when next in Italy. Sinisa met us as arranged at the port building to start our day exploring the CinqueTerra. We began on a tourist boat to Manarola. We had a delightful day exploring several of the towns by boat. Part of our day was a delicious lunch overlooking the sea. Sinisa was very knowledgeable about life in this area. He is a skilled guide, very able to share his knowledge and adapt to the specific needs of our group. Sinisa answered all of our questions. We would highly recommend him as an excellent guide. Sinisa guided us on a wonderful trip through beautiful western Tuscany, highlighted by interesting stops in Lucca, Pisa and Vinci. He consistently ensured our experience matched our interests and expectations. Responding politely to our many questions, Sinisa displayed an encyclopedic knowledge of Tuscan history, culture and business and the unique characteristics of its towns. We will always remember driving through scenic Tuscany with Sinisa, while listening to incredible Puccini arias. Bellissimo! Sinisa served as an excellent guide during our stay in Florence. He listened well to our objectives and developed an interesting custom day-long trip to Assisi and Perugia. Sinisa delivered an informative commentary, highlighting history, art, architecture, culture and business. He ensured we were able to attend mass at the lower basilica in Assisi and took us to very nice places for coffee, lunch and treats. Sinisa generously gave us an excellent guidebook as a memento of our wonderful experience. Our flight into Florence was over 2 hours late and we thought our entire day of wine tasting was ruined...but Sinisa was there waiting for us at the airport, made a couple phone calls, and before we knew it we were driving through the beautiful countryside on our way to a winery. He arranged a private tour with the owner, Rossella, we drank wine and ate food and had the most amazing time. Sinisa saved the day and made this day one of the most memorable of our entire trip! Thank you, Sinisa!! Absolutely amazing. I was traveling alone with my photography equipment. I have never had a guide that was so attentive and generous. He helped carry my equipment and knew exactly where to take me to get the best shots. In fact, I am thinking of altering one of my future trips so that I can tour with Sinisa again! See my comments under Sinisa Luca and Pisa tours. He's the best! Two glorious days with Sinisa at the helm. Our tours of Luca, Pisa, Assisi and Perugia were fantastic. Not only is Sinisa personable he was very informative of each area. We learned a lot about each area we visited. He went above and beyond when I was about to be mugged he literally save me and at the end of a long day he took us grocery shopping to help navigate the Italian system before returning us to our villa. I wish he was available for the rest of our trip. Thank you so much Sinisa for your time. Sinisa was a good tour guide and we enjoyed our day trip with him. He had an unavoidable conflict that caused him to push back our tour an hour, but he communicated that in advance and made it up to us by giving us a free hour tour of the Bargello on the prior day. His primary passion seems to be art, and he really knows his stuff. We enjoyed the winery he took us to. It had great views of San Gimignano and the propietor was an interesting character. Sinisa was a great guide! He worked with me prior to the trip to tailor it exactly to our needs and was in constant communication with us. He was incredibly knowledgeable about various subjects (art, history, etc.) and made our time in Tuscany extremely memorable. We would definitely book another tour with Sinisa if we were back in the area! Excellent Guide. We have a very pleasant tour. He explained everything about Cinque Terre. We liked very much. TOUR GUIDE RESPONSE: Dear Adriana and Julio. I am so happy that you have enjoyed the tour. We were lucky, having a bright sunny day. You are so nice persons. It was a pleasure to show you my country. You were my first guests in 2018. This was a fantastic begining. Wish you all the best on your trip and all year. We recently went on a tour with Sinisa from Florence to Pisa. We made the booking after finding the tour on the internet whilst we were still back home in South Africa, and it was a leap of faith as we did not know what to expect. The tour was excellent, and Sinisa was so knowledgeable about the Tuscany region and explained so many things. His knowledge of history and understanding of the arts was much appreciated by my family. Thanks again, we would not hesitate to recommend him. Sinisa was very knowledgeable about the history of Florence. We hired him for a day tour as this was our first visit to Florence. He gave us a full understanding of the history, architecture, artists and art. During our tour, we stopped for a wonderful meal. Thank you, Sinisa. TOUR GUIDE RESPONSE: Thank you Brian, I was were very pleased to be your guide. We've done a lot of things together, great emotions and a lot of walking. You were all ready to do your part. I wish you many great vacations to come, and local guides to meet. Sinisa is the BEST!!! This tour was great and he made it very special! Visiting Assisi was a spiritual experience. The long drive was worth it! Sinisa not only has a car, but is a tour guide for museums. He told us the history of the area while on the way. He is a great photographer and found the best spots to stop and take pictures. I highly recommend this tour and will always remember it! My husband and I chose Sinisa because he not only has a car, but also he is licensed to take you into museums along the way. No need to hire two people. Sinisa spoke great English, and knows the areas we visited very well. He is a great listener and was extremely helpful! He found the best place to have lunch in San Gimignano. We also visited a winery that he knew very well. Their wines were excellent! I highly recommend Sinisa and this tour! Sinisa is a great tour guide.He is knowledgeable, personable, & accommodating.He took us thru gorgeous countryside to 3 wonderful wineries, including 1 way off the beaten path.The proprietors at each winery spent a lot of time with us answering all of our questions about how their wines are made. We spent some time in Greve, a very charming town with many shops. (Caveat: not a great place to eat & the guys in our group didn't enjoy the town because they don't like to shop). I highly recommend Sinisa. Sinisa arrived promptly at our agreed to time at the cruise ship terminal. He was professional and very knowledgeable about Florence and Pisa. He gave us just the right amount of time at each destination and gave us a good recommendations for lunch. We would highly recommend him. A guide, who changed the schedule, on the spur of the moment, to accommodate whims was priceless. Sinsia fit the bill on our recent trip to the Cinque Terre. We decided to spend more time in Pisa. It did not leave enough time to visit all five, therefore we visited uno Terre, Monterosso. It included a leisurely waterside lunch and time to photograph the rockbound coat line. Sinisa's impeccably maintained vehicle and his careful driving created a relaxing atmosphere for the day. We spent three days with Sinisa. This was a great way to end our visit to Florence. It was nice to see the area surrounding Florence. Sinisa gets 5 stars. We will contact him the next time we are in Florence. This is a great way to start off your visit to Florence. Sinisa knows the city well and gave us a great historical understanding of the city. Sinisa was extremely knowledgeable and accessible. Our family of five enjoyed this tour immensely as it was an easy way to learn the background of the city through a leisurely, casual and fun walk. I would give him the highest recommendation to others. Sinisa was great, very knowledgeable and flexible. He engaged the whole family and Tells good stories. Thank you for a great and memorable day! TOUR GUIDE RESPONSE: Thank you all, wonderful family Emoff! Michael, Anita and Adam your presence in Pisa and Florence today was a very special experience. We had great time. I wish you all the best! Very friendly, flexible and knowledgable guide. Tailored our day to meet our interests and was patient and helpful throughout. A great experience. Sinisa was a fine guide. He took us to Pisa and Lucca from Florence for our tour. We had asked for him to locate us a nice place for lunch which he did. It was away from the tourist area and very relaxing with excellent food. Extremely knowledgeable. Flexible as to our particular interests. Excellent command of English. Great tour with a great guide. Very knowledgeable about all the interesting facts on both locations. Very friendly and flexible guide, would highly recommend Sinisa. TOUR GUIDE RESPONSE: A great pleasure of my profession is meeting qualified and interesting persons from all over the world. You and your friends are among those that makes our local Tuscan tourist offer improving. You were respectful travellers. Wish you all the best. Very knowledgeable and experienced guide who made the tour very enjoyable. Would highly recommend him. Sinisa is an excellent guide! Our Chianti wine tour today was not a tour, but a life experience that will be a memory forever. Our tour was at a family villa producing wine and olive oil, with the most amazing wine tasting I've ever been too. Sinisa's knowledge of the area and working the tour to specially meet our needs was spot on. He was amazing. As a travel agent, I will be booking his tours for my clients. Five stars! TOUR GUIDE RESPONSE: Thank you Paolina and Dmitri! You were wonderful guests. Very Interesting tour by a very knowledgeable guide. Sinsa took us to a couple of great wineries and an excellent lunch. His knowledge of art, architecture and history is very broad. Sinsa also directed us to the best pizza I have ever had. TOUR GUIDE RESPONSE: Thank you for having booked one of my tours in Tuscany. Have a great New Year. Sinisa is highly recommended by all 6 people in our group. Sinisa's knowledge of the area, art and history is impressive. His adoration for the arts and his community is embodied in his tours. Sinisa 's artistic eye and creative abilities gave additional insight to the artworks, and changes reflected by period influencers. Sinisa manages his time excellently, was extremely flexible with our changes and assisted with our group photos. He is Awesome ! He brought Florence and surrounding areas alive! TOUR GUIDE RESPONSE: Thank you Maggie and all of your party. You were all adorable. It was a personal enrichment to meet you. Stay well all! Sinisa is highly recommended by all 6 people in our group. Sinisa's knowledge of the area, art and history is impressive. His adoration for the arts and his community is embodied in his tours. Sinisa 's artistic eye and creative abilities gave additional insight to the artworks, and changes reflected by period influencers. Sinisa manages his time excellently, was extremely flexible with our changes and assisted with our group photos.Sinisa also provided excellent recommendations for local culinary spots. Our guide was very knowledgeable and provided us with the right amount of information since we had let him know some of us were not history buffs. We had a lot of free time in both Lucca and Florence which we appreciated. It unfortunately didn't start off so well as our guide was 1 ½ hours late which he was unapologetic for when he arrived. I had provided him with my cell number in case he needed to contact me but he chose not to use it. Disappointing way to start. TOUR GUIDE RESPONSE: I am here to answer you Mrs Saltys to thank you. I am very thankful to you. Deeply thankful for the sharp observation of yours that you kindly have provided in separate edition. I have learned from your words, and I will know how to improve my services on both my and travellers advantage. Drive 400 miles in a day, and provide the walking tours in two towns is tiring in the hotest May/ June days in Italy in last hundred years. Some services hapened to fail. I should modify those tours. Very knowledgeable and instrumental in keeping our family group of 6 on schedule to ensure we did not miss any of our must see items. My only suggestion would be to take the time to research the vineyards you want to visit. This will ensure that you accommodate your personal preference. Sinisa also took us to the leather market for some shopping, he was very patient and informative. Enjoy your vacation! TOUR GUIDE RESPONSE: Thank you Sandy. Touring with your family was an lovely experience. Congrats again for this well educated respectfull children. I wish you all the best. Sinisa was excellent. Knowledgeable, friendly, and generous. He was able to show interesting progressions of art through the ages and was able to give great background on artists, architecture, social/familial history, and government. Be prepared to received a masters degree worth of information on his tours. Sinisa was our guide in Florence for 2 days19 May 2017 and 20 May 2017. Sinisa was very knowledgeable and accommodating; we most enjoyed our tours. Excellent tour! Sinisa was a fantastic tour guide! Friendly and welcoming, he quickly got to know us and tailored the tour to match us! We learned so much, saw so many beautiful sites... we really feel like we received the true flavor of Florence from our tour! We could tell that Sinisa loves Florence and he passed that love into us through his historical knowledge, his wonderful stories and the care he took as he showed us his city! Fabulous tour! We highly recommend it! Did a tour of Cinque Terre last May. There were 6 of us. Our tour was fantastic. Sinisa was extremely pleasant, informative and provided us with a wonderful experience we will remember forever. Wholeheartedly recommend him! Our private wine tour was lovely. We visited 2 wineries and had a great drive through the countryside. Best day in Italy with Sinisa! 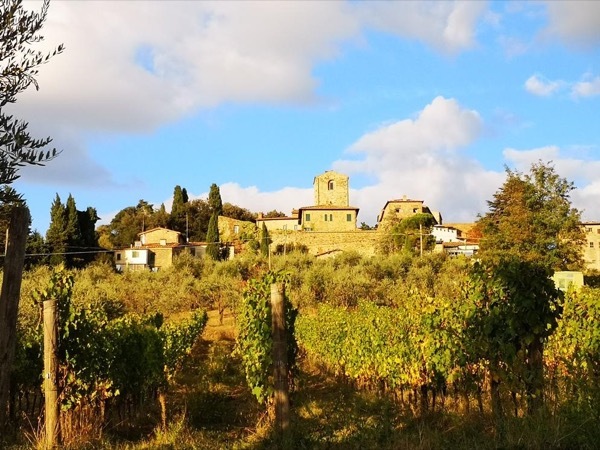 Requested customized tour to visit thermal baths in Bagni S Filippo, local wine vineyard with the charming Mario of 87 years young, the stunning village of Pienza and other requests. Sinisa was kind, respectful and knowledgeable in sharing history, culture and beauty of the land. Would highly recommend choosing Sinisa for a one of a kind road trip in Italy. This was an excellent tour. Sinisa's knowledge is thorough on both history and art. We all felt we had a much better appreciation of Florence, it's history and the wonderful art displayed in the Uffizi. I wholeheartedly recommend this tour. Sinisa provided an excellent tour of Florence and has an encyclopedic knowledge of the city's history and culture. He also had a firm grasp of philosophy and political history. As a classically trained artist, he brings art to life for all members of his tours. He was flexible with our schedule and interests. A+ guide! Not enough space to give Sinisa the FANTASTIC write-up he deserves. Answered all my emails before the trip! Customized an INCREDIBLE itinerary for 7 hours in Florence- even included top places from my fave video game. His knowledge of every place we went to is superior. Very easy to get along with and we feel that he is now family. We HIGHLY recommend him..you will NOT be disappointed! Can't wait to get back there and hire him again! TOUR GUIDE RESPONSE: Dear Marguerite! Thank you for the emotions your words evoke in my soul, and remind me of the tour we made in Florence in Nov. Yes, your are right. It was a great day. Thanks to you ladies, your will to embrace Florence and smile on Italy. God bless you and Gabi. Merry Christamss to you and your dears. Our guide, Sinisa, provided us with a full and delightful tour. He has an encyclopedic (or maybe I should say "wikipedic") knowledge of the areas we visited and made history come alive. This was our first "ToursByLocals". We learned from Sinisa that it is good to have more communications before arriving to get the most out of the tour. FYI for those considering this tour: Pisa is a lot more than "a tower". See it with Sinisa if you can! Good tour by knowledgeable guide. TOUR GUIDE RESPONSE: Thank you Janelle! It was great to have you in Pisa and Lucca. Wish you all the best for the upcoming hollydays. This guide exceeds the standard for knowledge about the region related to history, architecture and the wine experience. Exceedingly accommodating and gracious. Multilingual. Will book, again, next year. Private tours are the only way to go. TOUR GUIDE RESPONSE: Dear Mary Lou, thank you for your hearty appreciation. You are very fine person and made me happy to organize your tour to such a beautiful region as our Chianti. Wines and beautiful landscapes. You people from Napa Valley certainly know a lot about that. The guide agreed to bring a golf cart for my disabled son several months in advance. When we arrived for the tour, we had to take taxi's to get around town. Very disappointing. TOUR GUIDE RESPONSE: Thank you Paul, for pointing out the issue 11 months later. Transforming of a walking tour into a golf cart tour didn't work. Will never try again. Nice tour despite the heavy rain in Lucca. Very professional guide and knows when to avoid crowds at scenic spots. Also, good recommendation of food by the guide. Overall, quite a good experience. TOUR GUIDE RESPONSE: Charlton thanks for your appreciation. Your family is one of those that know how to enjoy life and I am glad I could help you to get to know more about the Lucca and Tuscany. Wish you many other trips together. Our family throughly enjoyed our tour of Florence with Sinisa. He is not only knowledgeable and well organized, but was a friend by the end of the day. His personal tour is top notch. We will recommend others to use his services when in Tuscany. TOUR GUIDE RESPONSE: You Fosters are wonderful family. You have made my itinerary and service of guide inspired. All of my attention was a joy because of time spent with you. Wish you all the best. Sinisa did a great job with our family group of nine. We were able to see everything of interest between Pisa and Florence. Sinisa was very knowledgeable and very personable. A professional tour guide of the highest rating. I highly recommend Sinisa for the Livorno/Pisa/Florence tour. Sinisa is a gracious and very knowledgeable tour guide, and he took us on a wonderful tour of Chianti. We asked to go to more than one winery (as was the description on the tour) and he took us to 4! We had a marvelous time and learned so much about the wine and Chianti. Sinisa was extremely knowledgeable of the art we experienced and he toured us around and gave us time on our own also. Great driver. Great Tour. TOUR GUIDE RESPONSE: It was a great pleasure to have you in Tuscany. Amoedo you are a nice family. With a great sense for partecipation and harmony, curiosity and a will to discover. TOUR GUIDE RESPONSE: Dear Lous and Maria Rosa. You are very kind persons, very open and friendly. Meeting you, and having done the tour of Florence with you was an excellent professional and cultural experience, as well as a personal enrichment. Thank you very much for the five stars review. Wish you all the best.